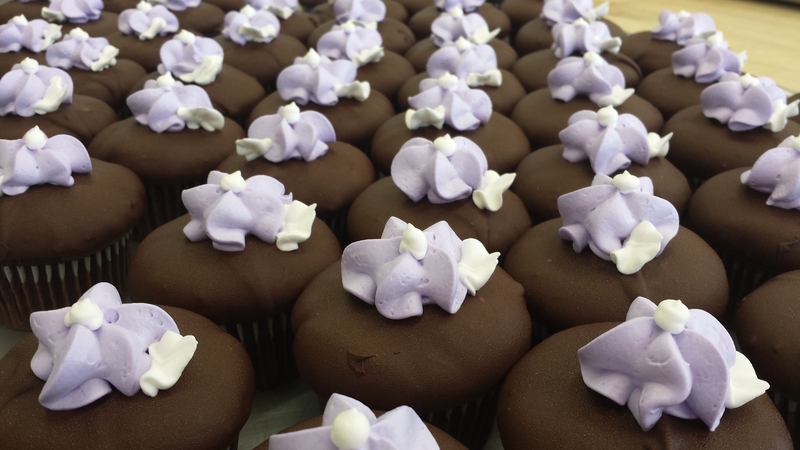 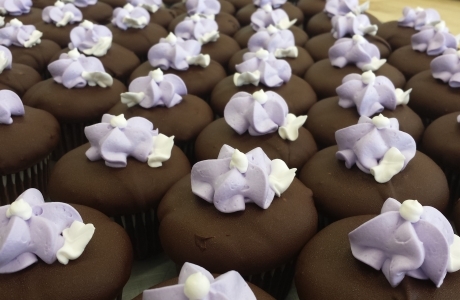 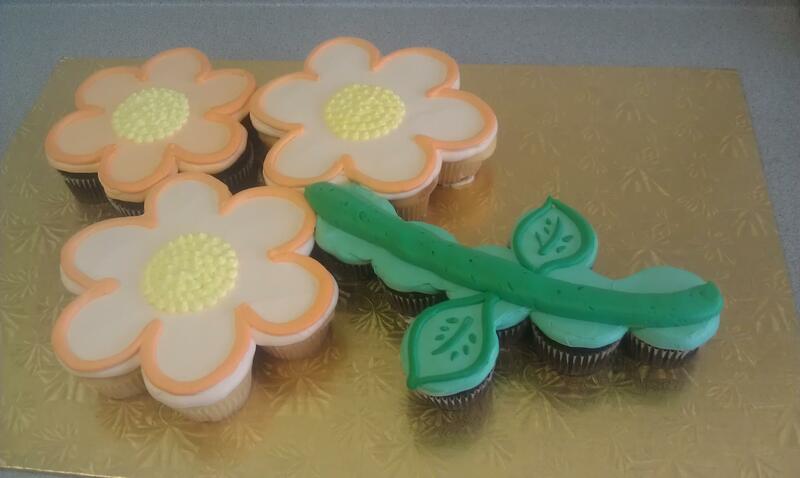 Our basic cupcakes come in vanilla or chocolate and come with white whipped icing and sprinkles. 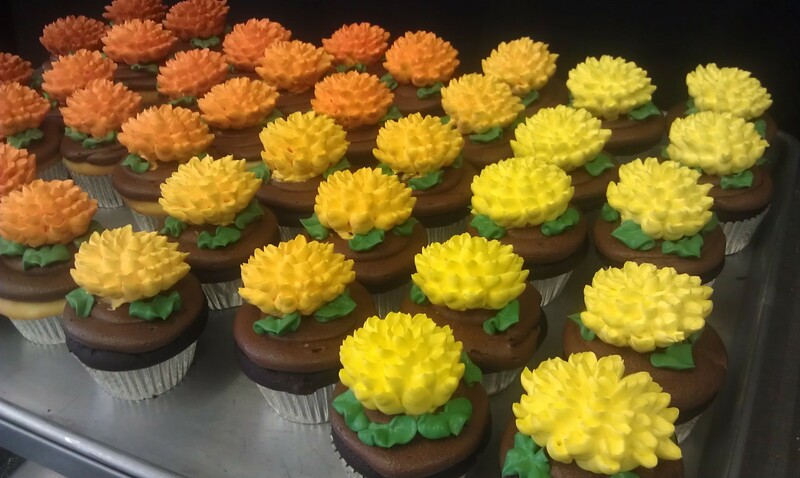 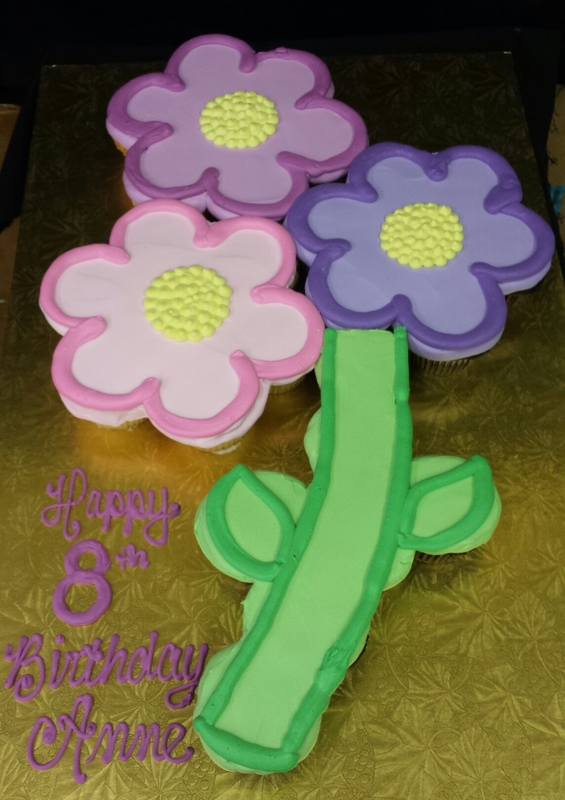 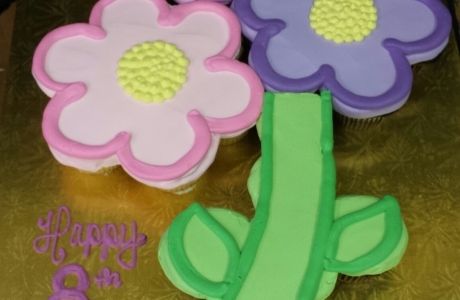 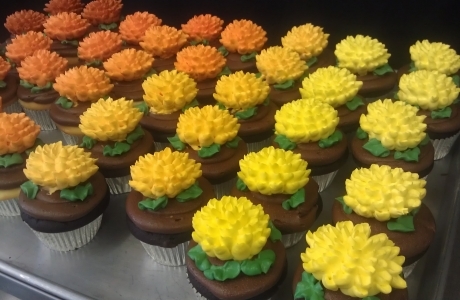 Colored icings or different types of icings, such as buttercream or ganache are a $3 flat fee per icing type. Special decorations are extra depending on what you would like. 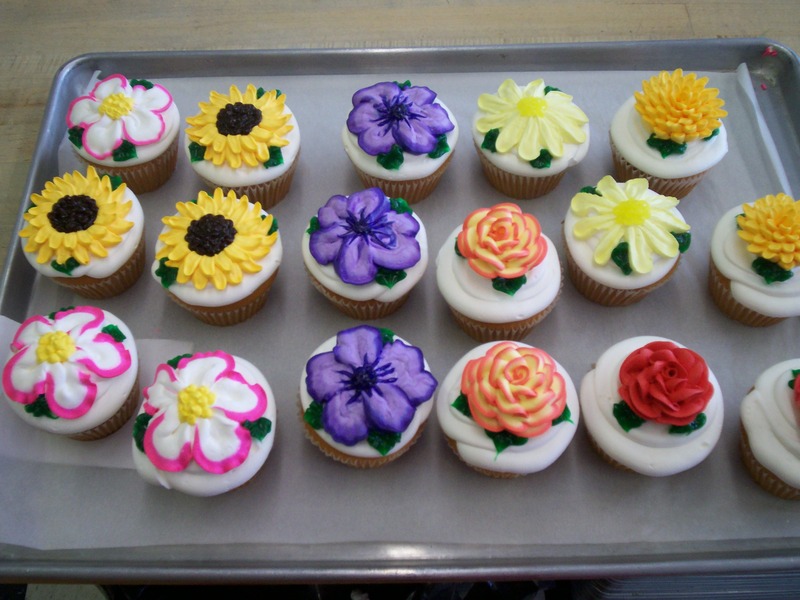 We can add a filling of white cream, raspberry, lemon, or strawberry. 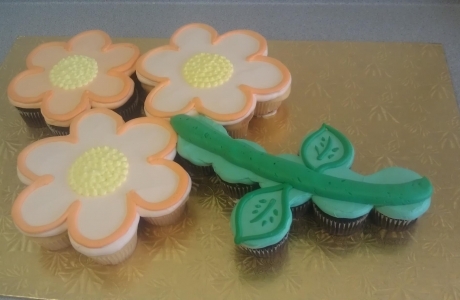 We also offer gourmet flavors such as red velvet, carrot, key lime, and strawberry. 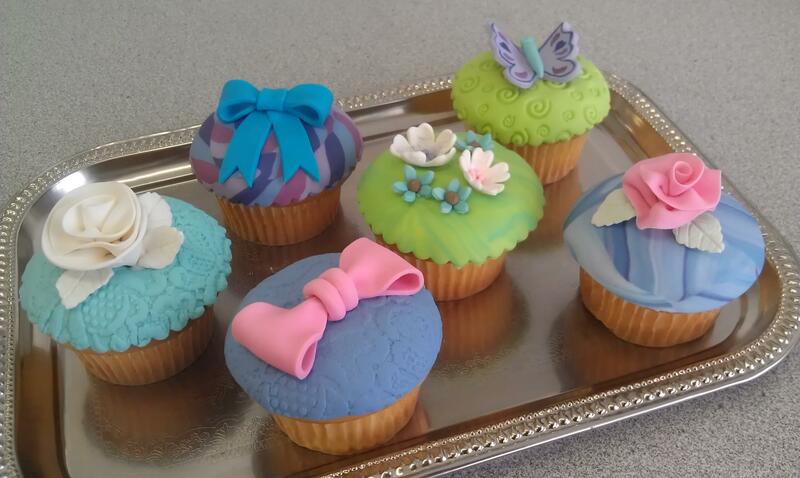 These cupcakes are $1.60 each with a minimum order of three dozen per flavor. 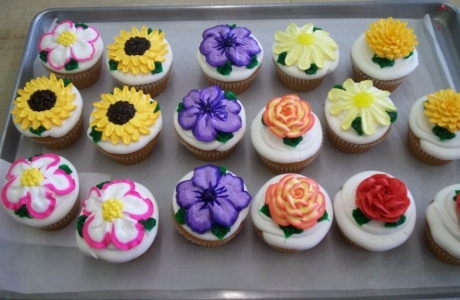 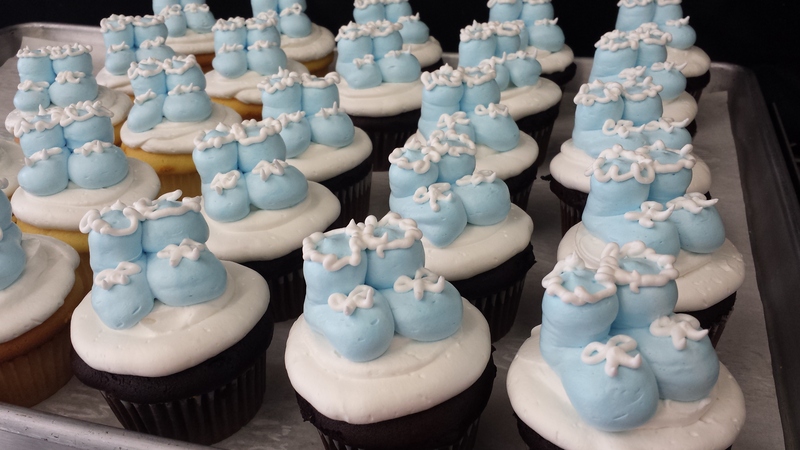 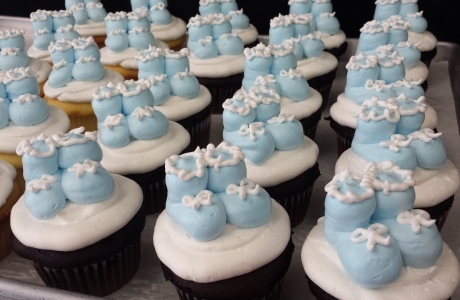 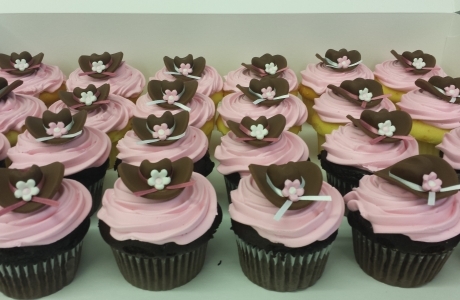 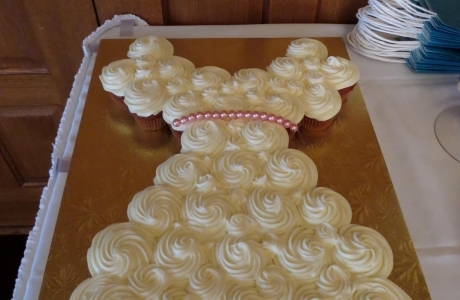 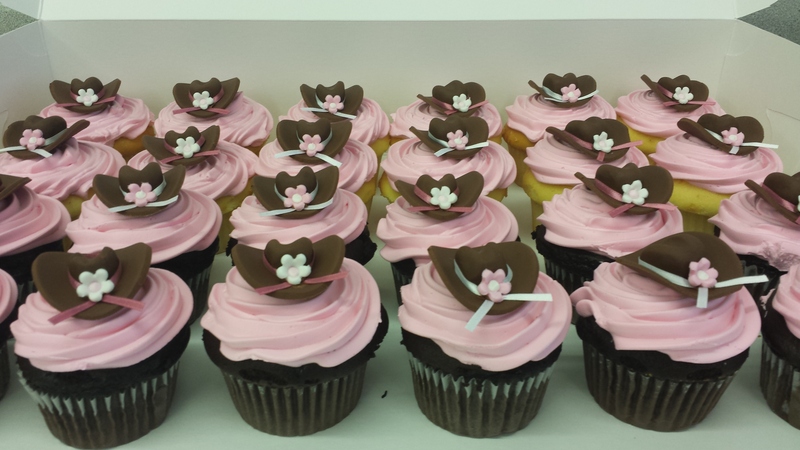 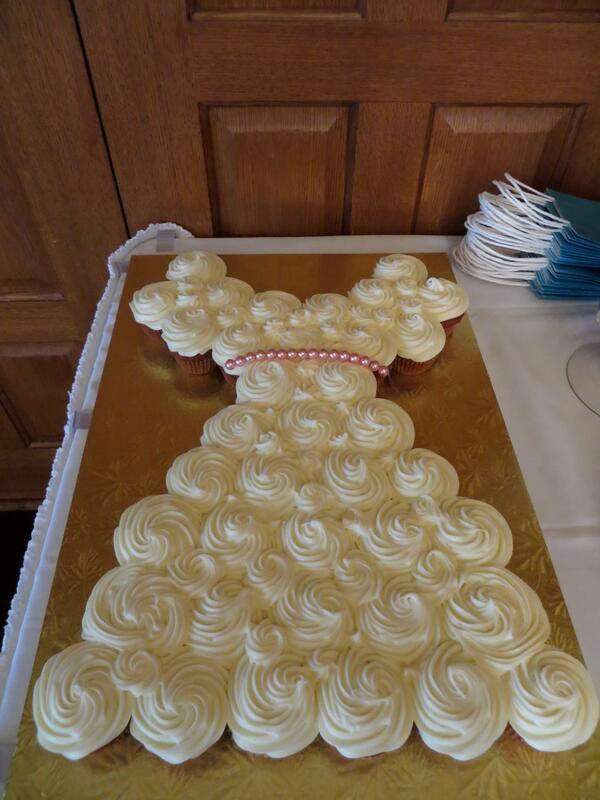 Cupcake cakes are the price of the cupcakes plus a $15 fee to arrange and adhere them to the board. 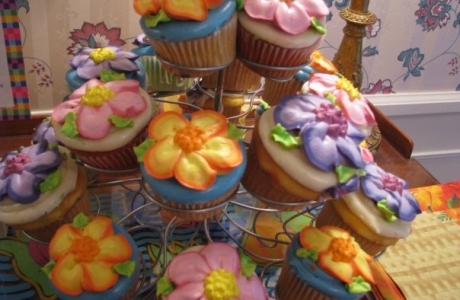 Special decorations may incur extra charges. 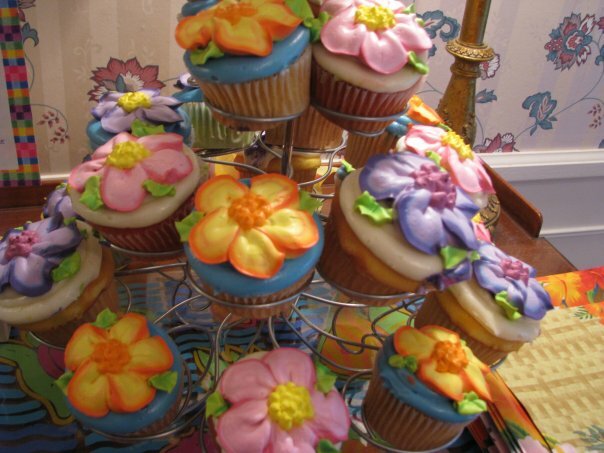 We have disposable stands that you may purchase, and we also have several different stands that you may rent from us.